"The special edition version of the game comes in a SteelBook case with its own unique cover art by longtime Tales character designer Kosuke Fujishima. The packaging itself is really high-quality, but what’s inside is even more exciting. 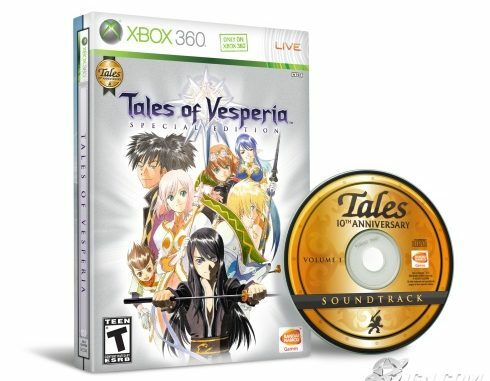 We’ve combed through the music archives at Tales Studio in Japan and put together a bonus 10th anniversary soundtrack CD that will be included in every special edition package. Covering some of the series’ musical highlights from past and present, the CD contains 25 tracks, with 14 songs from Tales of Vesperia, two from Tales of Phantasia, two from Tales of Destiny, four from Tales of Symphonia and three from Tales of the Abyss." It seems that some places in Japan already have Tales of Vesperia. You'll notice a bunch of new videos in YouTube or NicoNico Douga, including the first few boss battles and an HQ opening. 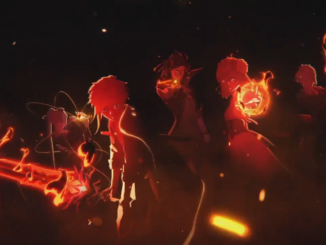 Also added new AMV of the Month. 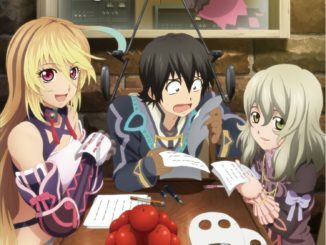 There's also news circulating in the Tales Forums that TalesBrigade will be open 2PM EDT. Screenshot. For the LOLs: It seems that badly made Wanted Posters run in the series. P.S. The Vesperia main page is still not up. The ToV Audio Page however, is up, but was missing from the list of audio categories. This has been fixed now. 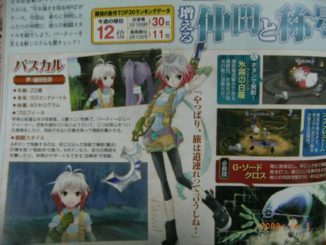 Tales of Merchandise Monthly Issue #2: May 2012 - Tales of Xillia Merch Galore!